Few pictures from Femina magazine, found at Gallica. It’s the end of la Belle Epoque, first months of 1914. Soon World War I will destroy this elegant and beautiful world, and everything will change, including the fashion. 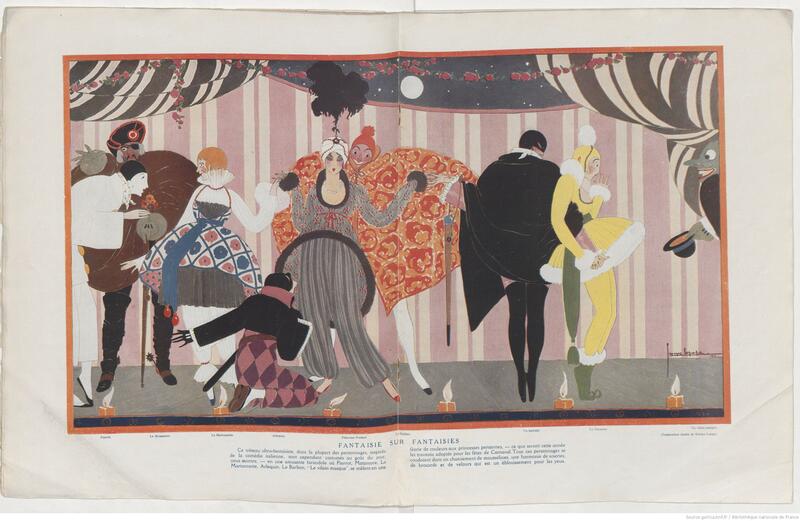 Fashion in 1914, drawing by Georges Lepape, in style of Italian comedy. 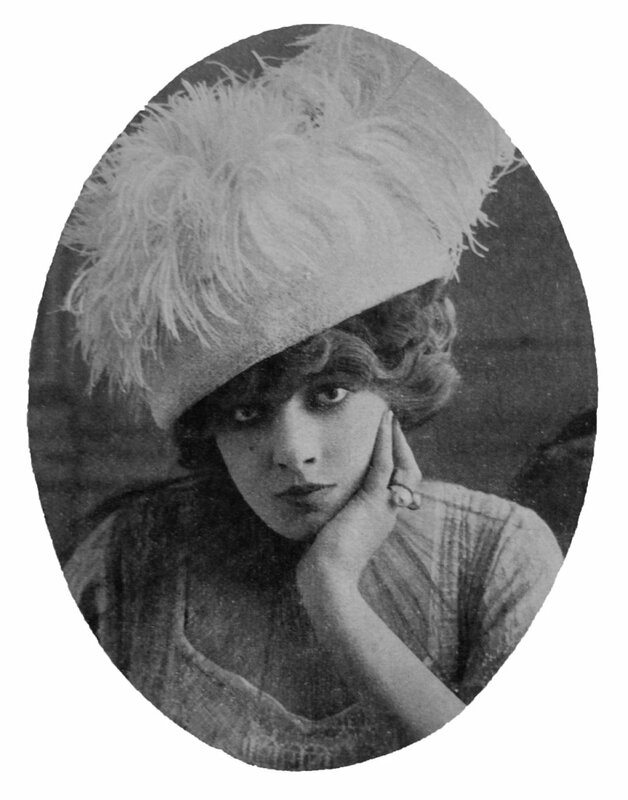 (Femina, 1 January 1914). 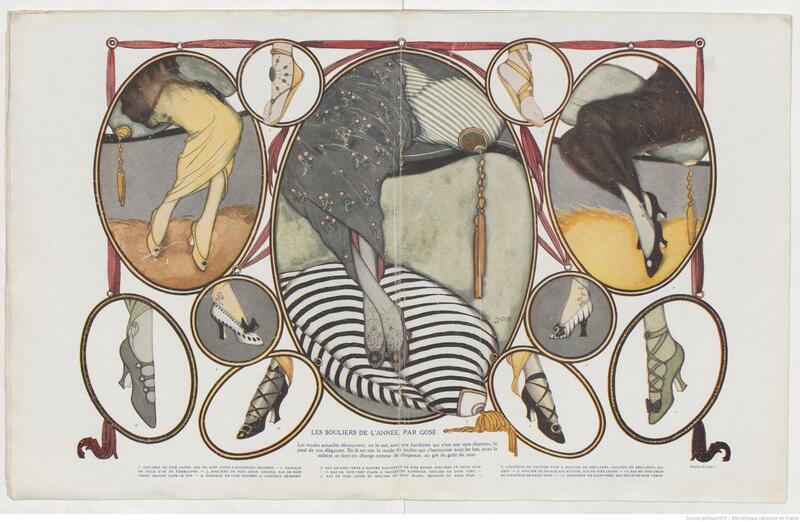 Shoes in 1914, drawing by Gosé. 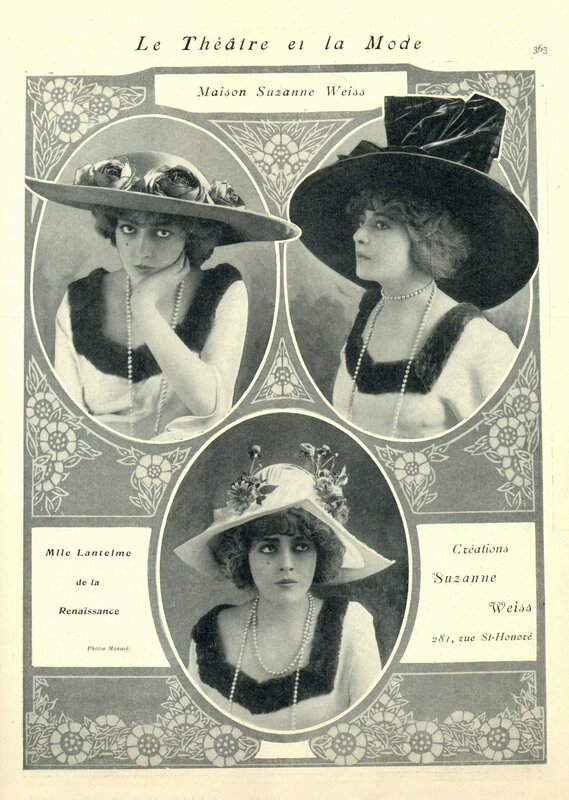 (Femina, 15 January 1914). Dance (maxixe), by de Losques. Femina, 1 January 1914. 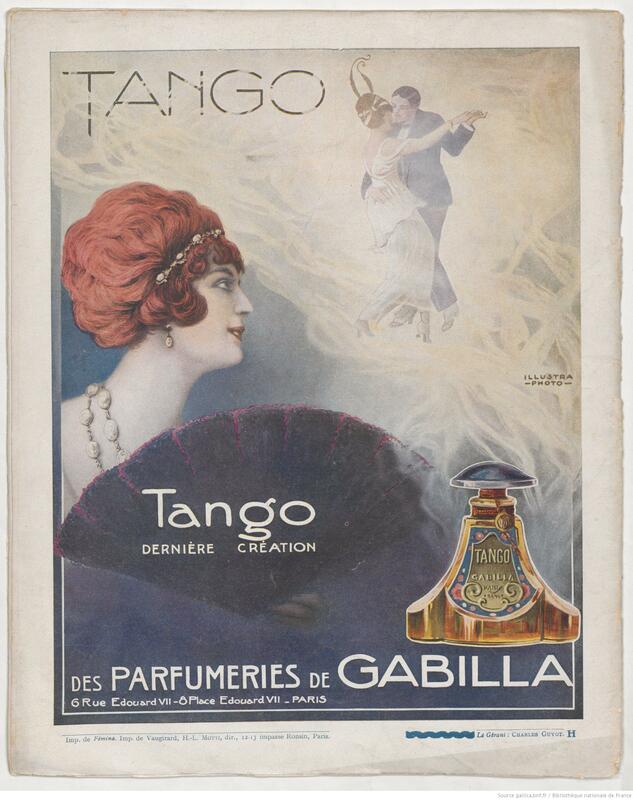 Dance and perfume: an ad for Tango perfume, by Gabilla perfumeries. Femina, 15 February 1914. 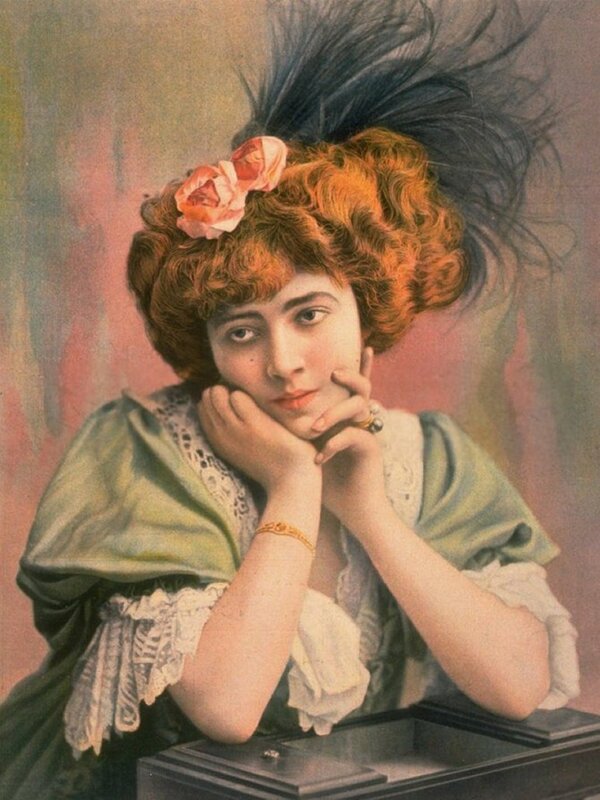 Knowing that Lantelme had been one of stars of ads for French perfume Séduction (by Gellé frères) I tried to find something more about this forgotten fragrance. (Looks like it was very popular because almost all the stars participated in its advertising campaign, and this campaign lasted many months). 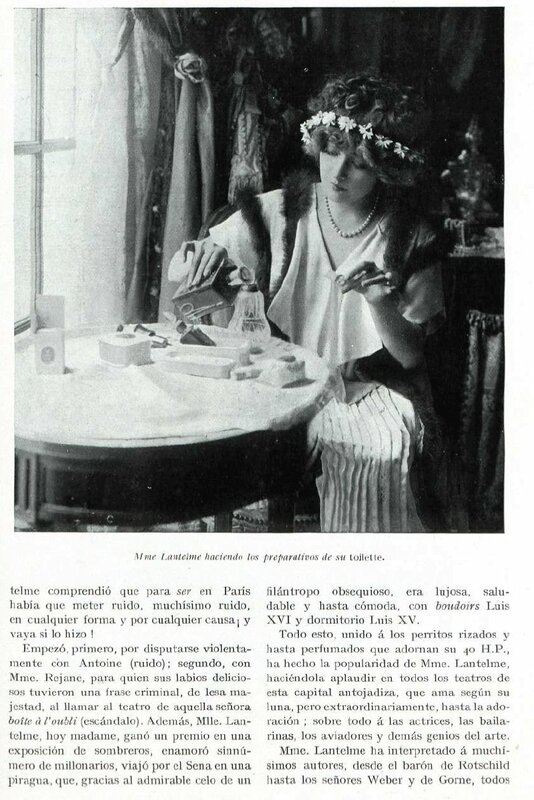 Lantelme in an ad for Séduction, 1910, scan from Femina magazine. 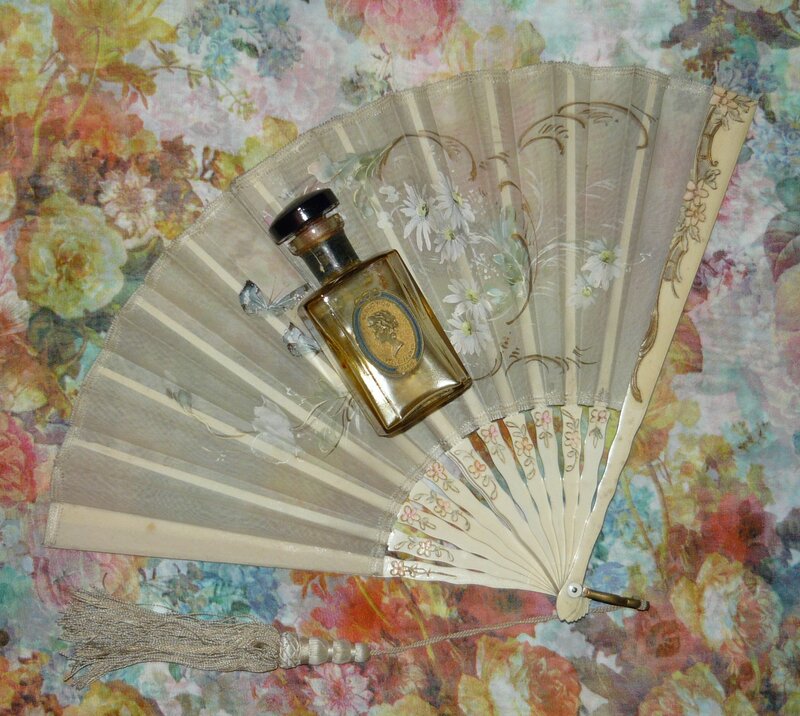 Finally I could find an almost empty bottle of Séduction, and if I’m right it was a nice floral fragrance, a kind (or rather an ancestor) of modern perfume bestsellers that anyone can like, but though charming they lack for any original trait. 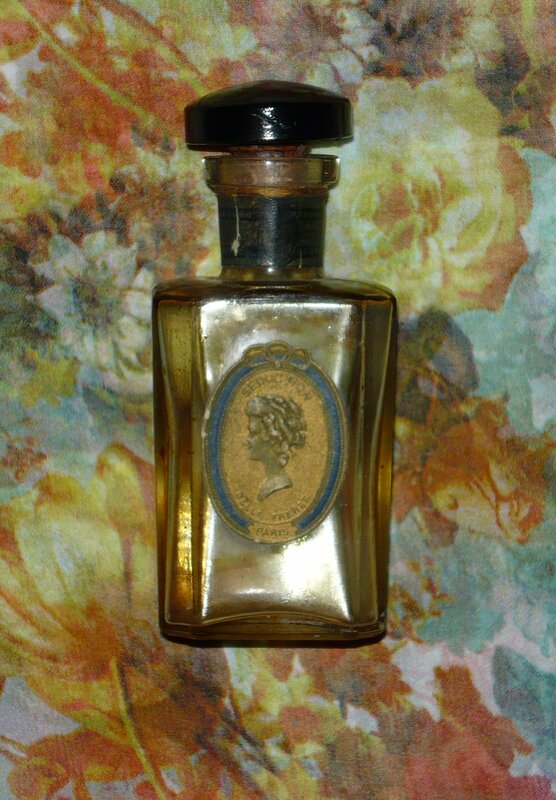 There’s an image of a woman head on the bottle (Marie-Antoinette?). The box was much more expensive, I don’t know why 🙂 So I have only few photos of this box outside and inside. I’m curious what exactly she’s doing: pouring perfume from a big bottle to a spray bottle? What do you think? 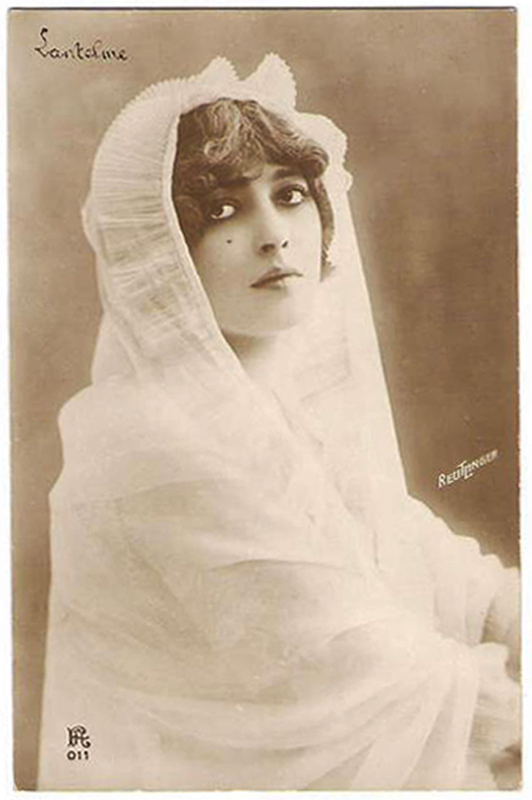 Lantelme as Ginette Dubreuil in Le Marchand de Bonheur. 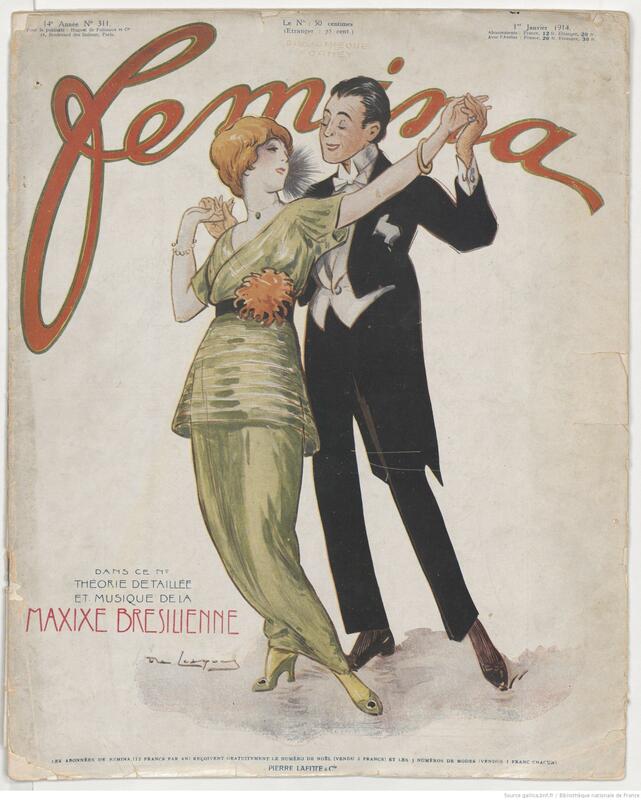 Scan from cover of Femina #236, 15 November 1910 issue. Dress by Paquin, photo by Manuel. 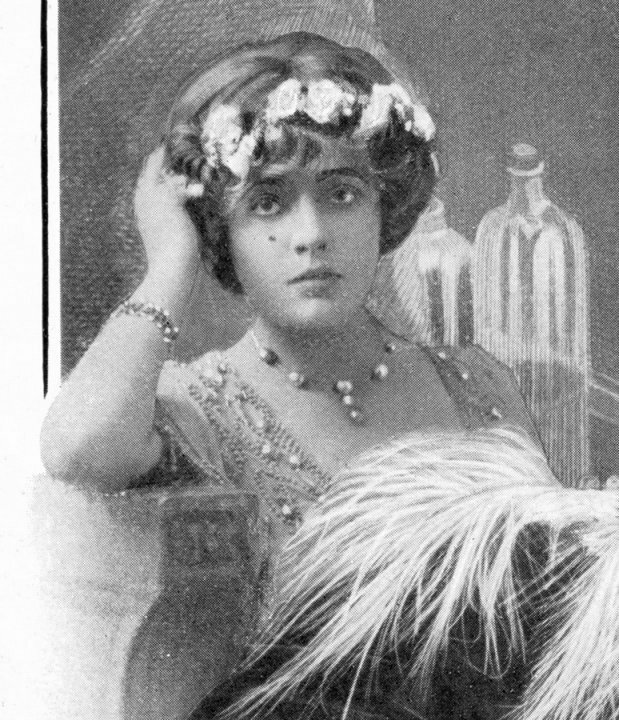 Lantelme in 1909, wearing a beautiful diadem and her favourite necklace. 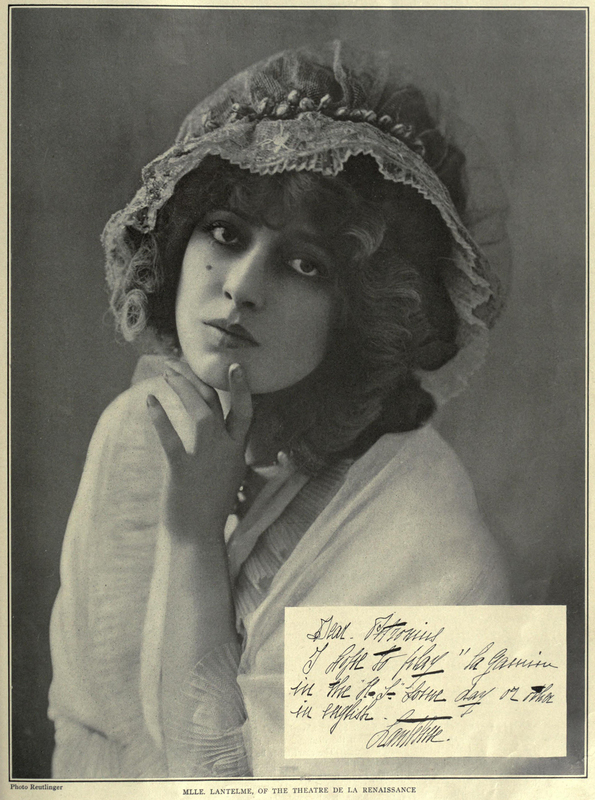 Scan from Femina, 1 January 1910. 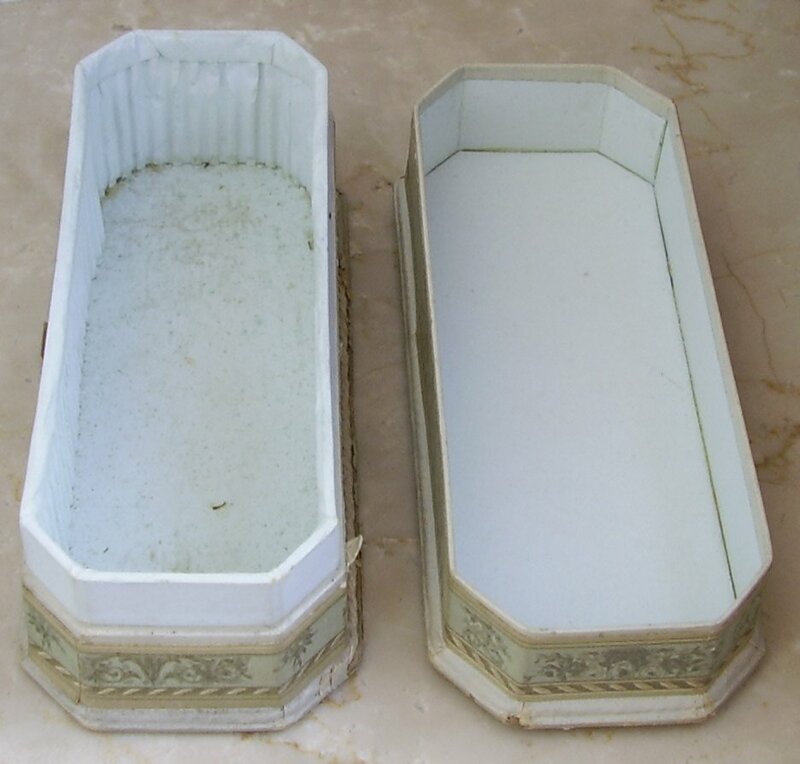 She desappeared from the yacht L’Aimee (The Loved One) in the night of 24/25 July 1911. 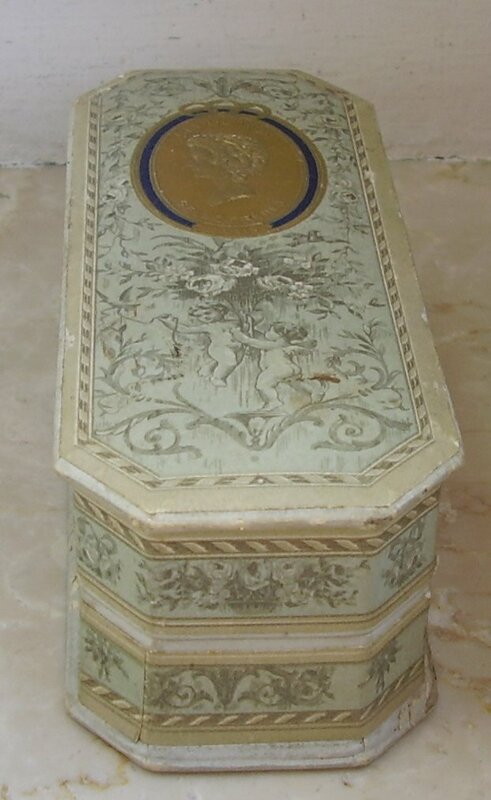 Her death remained a mystery. Few hours before she looked happy and full of joy, and none of her friend could admit a version of suicide. Many people, and among them a writer Leon Daudet, have spoken about a murder, and only few believed it was an accident. Young actress: Genevieve Lantelme as Genevieve in the play Le Secret de Polichinelle by Pierre Wolff. 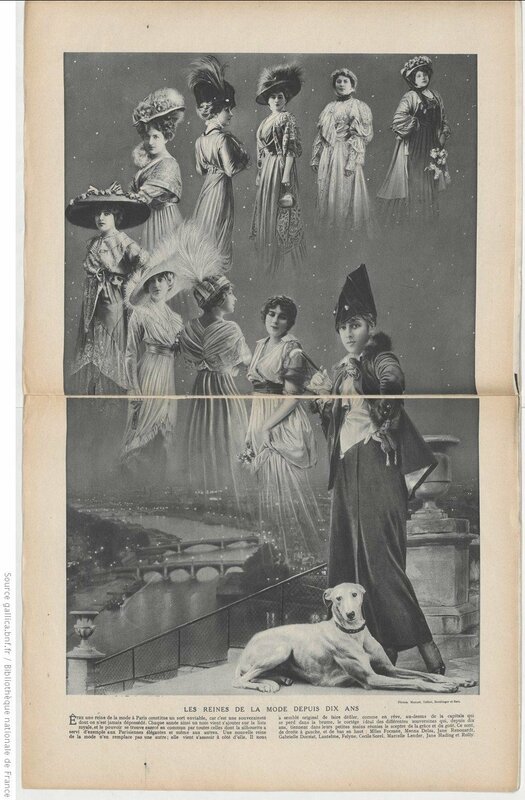 Scan from Le Theatre #100, 15 February 1903. 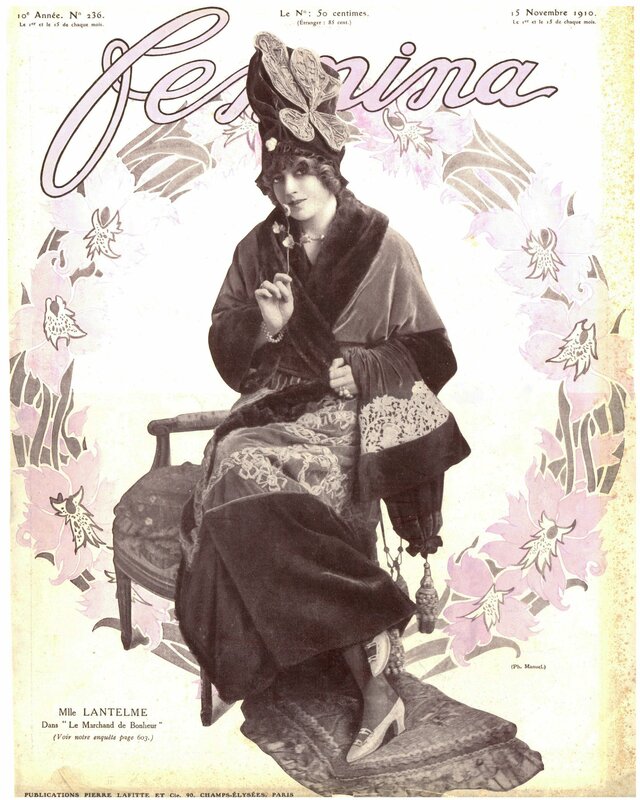 One of first magazine covers: Genevieve Lantelme from Rejane theatre. 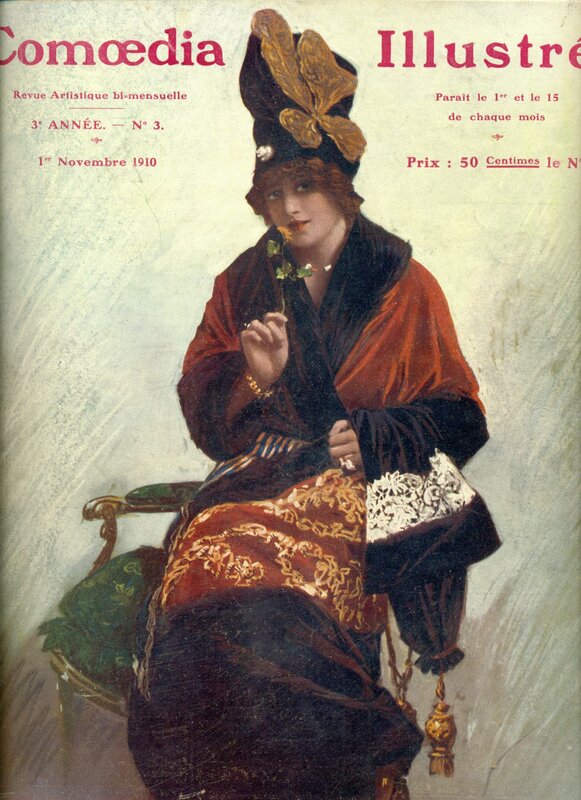 Cover of Les Modes, April 1907. Genevieve Lantelme as Marthe Bourdier in Le Roi, a comedy that will make her a star. 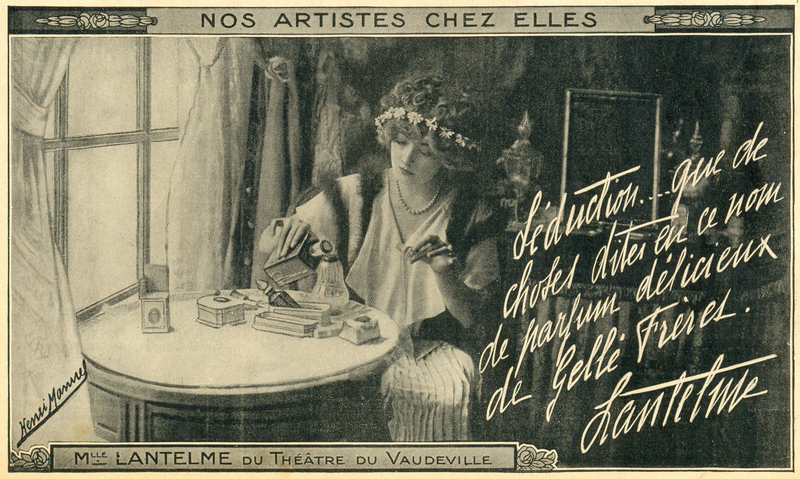 Scan from Le Theatre cover, # 238, 15 November 1908. 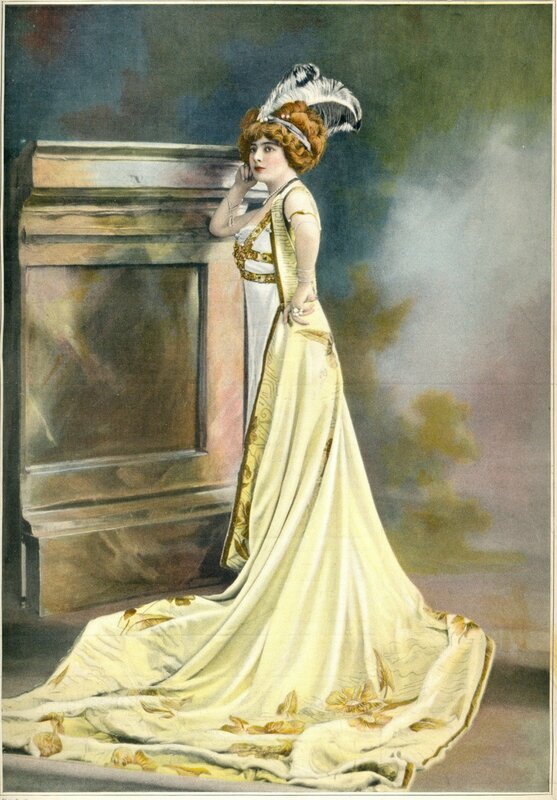 A superstar: Genevieve Lantelme on the cover of Comoedia Illustre,1 November 1910, as Ginette Dubreuil in Le Marchand de Bonheur.. Dress by Paquin. A fashion icon. Scan from Comoedia Illustre, 15 March 1911. Hats by Suzanne Weiss. 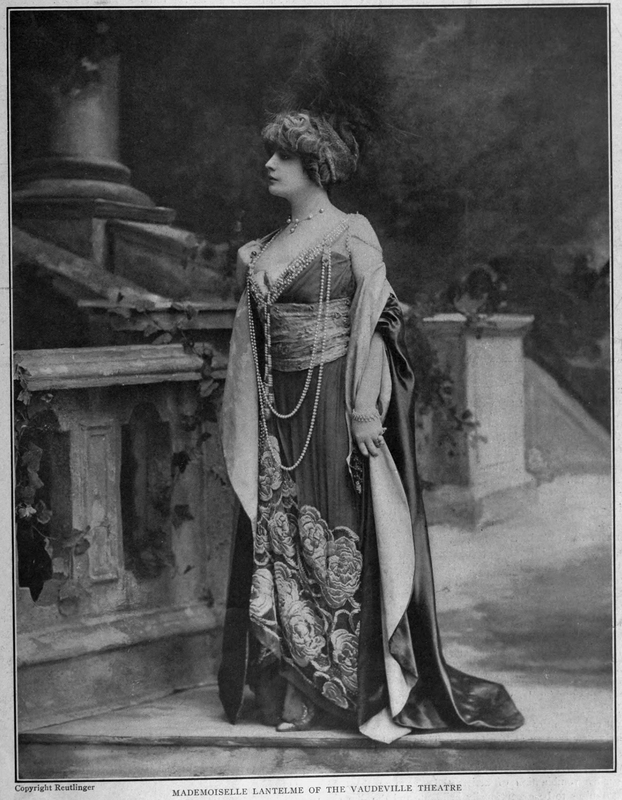 Genevieve Lantelme in The Theatre, 1911. File source http://www.archive.org. On the right is the note in English written by her; she promises to play La Gamine (a comedy by Veber et Gorsse) in New York. Petronius is the pseudonym of European reporter of The Theatre. This note is written about April 1911, few months before her death. 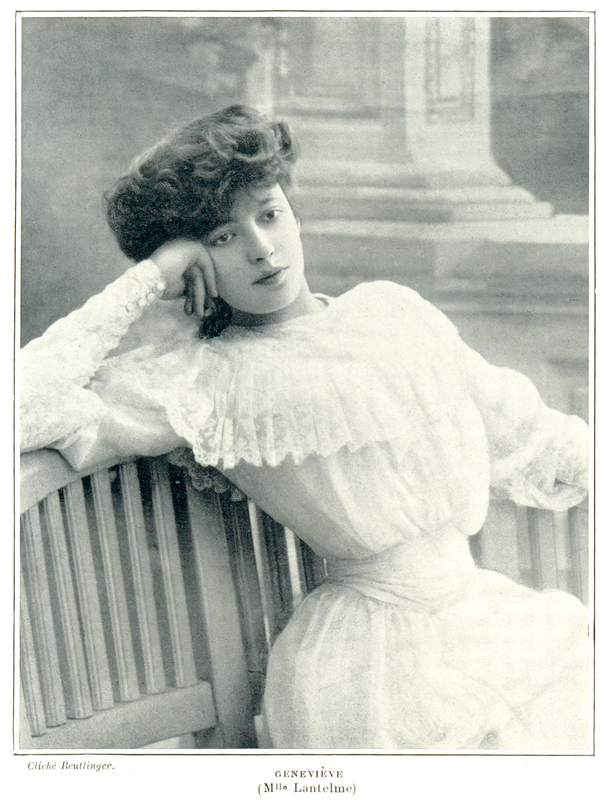 One of last photos, published in Femina # 254 (August 1911).